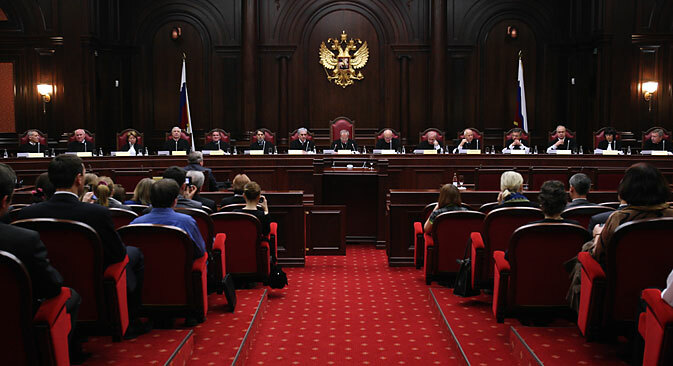 According to a ruling by the Constitutional Court of Russia, being HIV-positive does not represent an unconditional basis for deportation from the country for foreign nationals. Speaking to RBTH, human rights advocates called the decision an important achievement in protecting of the rights of people in Russia living with HIV. The Constitutional Court of Russia has ruled as unconstitutional the practice of the application of certain laws on the legal status of foreigners in Russia that have been used to deport HIV-positive foreign citizens or stateless persons whose family members permanently reside in Russia. Under law, foreigners who are residing legally in Russia become undesirable if they "pose a real threat to public health." Temporary residence permits are issued to foreigners working in the country only after presenting a certificate proving the absence of HIV to the Federal Migration Service (FMS). If diagnosed with the HIV infection, they are deported. The ruling by the Constitutional Court, made on March 16, came about following complaints lodged by two citizens of Ukraine and a Moldovan citizen, who were prohibited from staying in Russia only because they are HIV-positive. According to Judge Nikolai Melnikov, the foreigners who filed complaints with the Constitutional Court did not violate Russian legislation and are married to Russians. "With the provisions of these conditions, it is unacceptable to deport a foreign national, to deny him entry or not to issue him a temporary residence permit," he said. According to the decision, the cases of the citizens of Ukraine and Moldova who filed complaints with the court should be reviewed. “The family is of unconditional value and its interests should be significantly higher than [those of] migration policy," said Onufriyeva. "A person with HIV-positive status should not be a priori considered dangerous to society. If a person started a family, is a respectable member of society, receives treatment and is observed by a doctor, the refusal of entry or deportation based solely on the presence of HIV is certainly a violation of rights," said Onufriyeva. Onufriyeva said that legislation in the field of HIV infection should be subject to regular revision to reflect changes in the real world. Alexander Saversky, chairman of the League of Protection of Patients, noted that HIV-infected people also experience discrimination within the country. "Employers tend to seek information about the health of their employees, effectively demanding the disclosure of information protected by physician-patient privilege," he explained. Saversky added that the public's fears of people living with HIV are often unfounded and are accompanied by inappropriate behavior. "The state and public organizations must conduct explanatory work – how to behave," he concluded. The director of the Moscow Bureau for Human Rights and a member of the Presidential Council for Civil Society Institutions and Human Rights, Alexander Brod, noted that Federation Council Speaker Valentina Matviyenko had expressed in February the need to develop a standards act for deportation of immigrants with AIDS and tuberculosis. "The state cannot take responsibility for these patients in an economically difficult period. It’s another case if a person was working in Russia when they acquired the disease. In this case, we need to do everything possible to help them here,” said Brod.